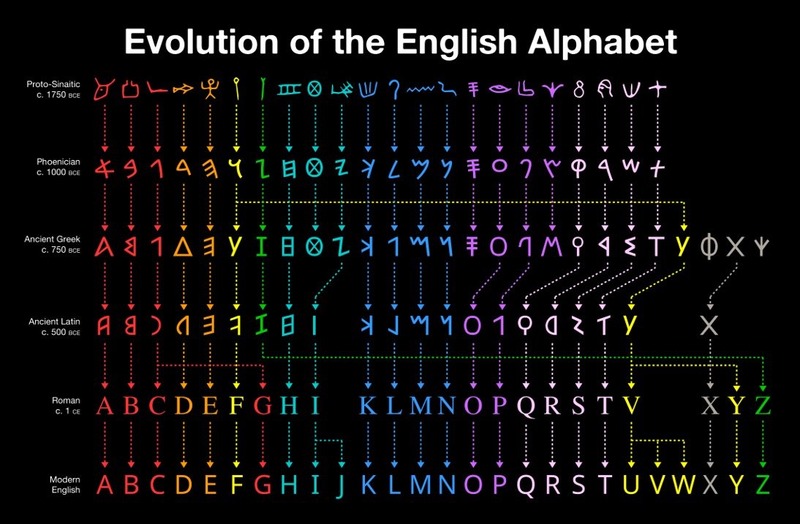 Evolution of the english alphabet by @usefulcharts « Adafruit Industries – Makers, hackers, artists, designers and engineers! Matt Baker on Twitter: “Made this chart last year as a Kickstarter award but am now making the image available as a free download. Just right click and save and feel free to share.… https://t.co/T2D6GOfxsp”.